Aphex did you buy it yet? Short instrumental. Some patches from 15 fiddled with. Drums from here and there and drumjam. Other samples from the aquarium of course . Will no doubt delete it in sunlight. 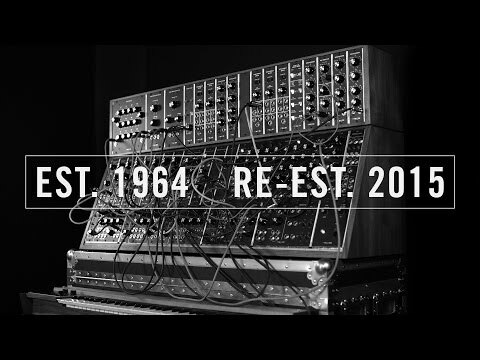 @MoogMusicInc any plans on more tutorials? that's what really sold me on the app. I expected more than the two basic ones. this is what I'm very much interested in too, I was under the impression there were allot of them!!! As I understand it from the SonicState video with Geert Bevin, users can create tutorials and share. I've not had enough time with the app to see exactly how that sharing would work, but I'd love to see the community produce some great tutorials. I know that's not exactly like getting them from Moog with the purchased app, but it would still suffice for me. I fancy the Glenlivet, though I am settling for the PBR, atm. Short but action packed! Held attention and loved the twists / turns and Moogery. Have to say, this app suffers from trying squeeze it's interface onto iOS. Reminds me of companies putting their desktop stuff onto iOS, it just doesn't really work. Thought I'd get used to all the zooming and scrolling, but it's remained annoying all the way through. I was feeling that way at first, but once I started to learn where all the modules were located, I found moving around became easier. What makes this synth so much more exciting than all of the others out there? Hey Carol, I've got you followed on Soundcloud. Once you get something nifty that was a direct result of the quality of this app... do you mind poppin it up on Soundcloud and droppin me a note? I'm resisting this one for now because there are 2-3 more I'd rather get soon, that I've already done the research and know I'll benefit from, ie. I don't have Fugue Machine yet. I'm also hoping to be traveling/backpacking/motorcycling very soon and likely won't be tinkering with IOS sound apps anyway, so there's no rush at the moment. Just trying to filter out the new-app-hype, and get to the gist of what this app can do and why I might want/need it, or if it would be a waste on me. Carol, are you "Terrible Void" on Soundcloud? If you have something that you want to make private then delete, that's cool. Just curious what sounds folks can get in a composition that isn't a promo by Suzanne Ciani for Moog. It got crackly with an Air2? Thats what I have. Looks like you were pushing it pretty heavy though. As far as enough time... seems like enthusiastic shoom samples were flying around the same day it was released! That is awesome track for ocean park, great for park performers. @MoogMusicInc is there a way of individually deselecting held notes added to an arpeggiated pattern in error? Thanks for pointing that out, we'll see what can be done about deselecting held notes. However, using the Latch switch of the arpeggiator, you can already play a chord, remove all fingers and press down another chord. This will clear the first chord and immediately use the new one. Is there a way to syncronise patches across devices ie; via iCould? Yes @JohnnyGoodyear, beautiful musical miniature painting! the app is certainly selling well at this price -- in the top ten of paid apps in Germany right now, very nice to see that a premium music app is doing so well. I wonder if they classify it by the number of sales or the revenue received? I think it is number of apps. There is another column with biggest revenues, usually populated by freemium apps. 9 in the UK. With IOS piracy at this level it certainly will be profitable to code apps for the platform. I guess they need to be quality apps like this one. As I understand it from the SonicState video with Geert Bevin, users can create tutorials and share. The ReplayKit framework provides the ability to record audio and video within an app and share the resulting recording with other users through social media. I am shocked at how many apps I can run with MODEL. Oddly, the only app that caused an issue was Animoog. Actually, each time I tried to run Animoog with MODEL and a sequencing app, sound would completely cut out on all. Remove ANIMOOG, sound was back. However, I was able to run any other app in place of ANimoog with no problem. That "song" made my day! 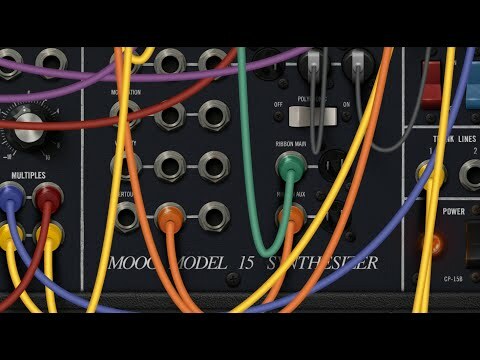 I am very happy with this synth; thank you Moog! It's high on the cpu of my iPad Air (1), but in Aum or Audiobus with a buffersize of 516, I can run Fuguemachine and Patterning and Model 15 without crackles or glitches (even when changing from one app to the other). 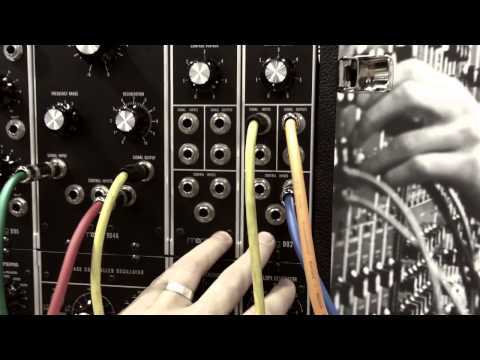 Very inspiring musical results (mainly with the Model 15 arp-presets in this setup). Recording in Reaper on my PC via iConnectAudio4+ and using other effects there works super! Now I'm confused, but not disappointed. Try opening all apps standalone first, then open AUM and add them in/ open session. I'm on Air 1 and it's the only way I can avoid glitches and crashes.